As the U.S. trade war boils, Chinese officials are easing up on their environmental crackdown of the agrichemical industry through the winter of 2018-19. Hopes of improved supplies, however, will be crushed by the reality. China has left no doubt that it is in this for the long haul. Production levels are still not matching last year’s levels, and raw material plants in Lianyungang, a major chemical and refining hub in the eastern province of Jiangsu, remain closed, which is affecting the output of some actives. More than 2,000 chemical companies were phased out in 2018 in Jiangsu alone, says Dr. Wayne Tan, Marketing Manager, CAC Group. He updated the status of the country’s environmental campaign at the AgriBusiness GlobalSM Trade Summit Southeast in Jakarta on 5 December. The second round of the country’s environmental so-called “look back” inspections began in October 2018, covering 10 provinces. The first round, which took place from January through July, yielded severe consequences: 7,375 Chinese companies were punished, with fines totaling 710 million RMB, according to Tan. To gauge the impact, one needs only to look at the dramatic trend lines of prices and exports coming out of China. 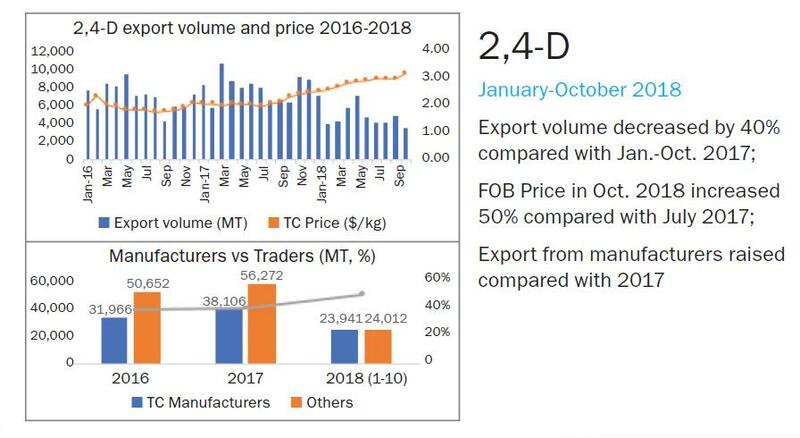 According to CAC Group data, from January through October 2018, 2,4-D export volumes from China plummeted by 40% from 2017, while the price increased by half. 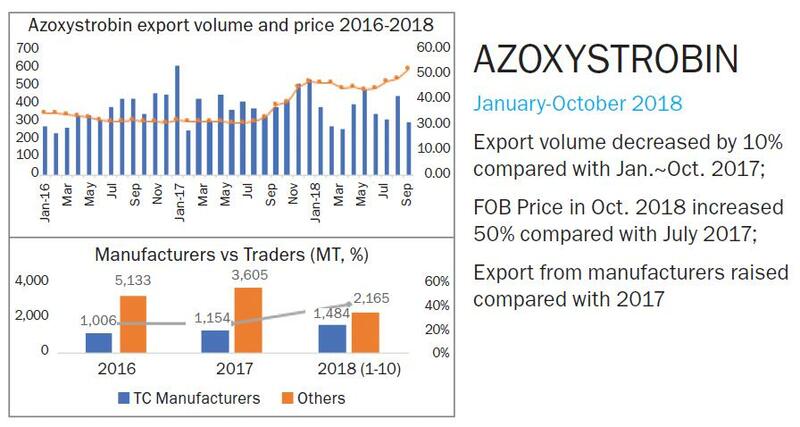 Export volumes of azoxystrobin fell 10% in that same time period, while the price jumped 50%. While glyphosate exports kept level, prices jumped 23% from 2017. “Prices have gone through the roof. One of the world’s biggest fungicides, chlorothalonil, has gone from just over $4 per kg in 2015 to $8.50 per kg right now,” Egan tells AgriBusiness Global. Egan says that companies with strong pipelines are also confident they can pay tariffs because they can offset the costs with molecules coming off patent. 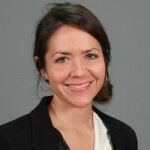 “Smaller companies are disappearing, and consolidation seems to be the only thing they can do to survive. The landscape is now and will look very different over the next couple of years,” he says. In the United States, effects of the nearly year-long trade war are still rippling. Albaugh announced in the fall it would have no choice but to raise prices as a direct consequence, and a similar announcement from Willowood USA quickly followed. Reports of agrichemical stockpiling before the tariff more than doubling to 25% on 1 January have made their way into mainstream media outlets such as Reuters. 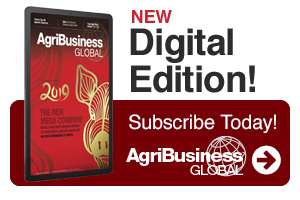 As disruptions in China are set to continue for at least three more years, buyers are looking at alternative sources, but there is really only one at the moment, according to C S Liew, Founder and Managing Director of Pacific Agriscience in Singapore. “That’s India,” he says. “However, it currently does not have enough width and depth in chemistry to replace China as a viable alternative for most generics. Incentivized by a pro-business Modi government that has lowered protectionist tariffs, large numbers of Indian companies are now finally exploring markets beyond India. Spending on R&D is poised to surge. Unfortunately, registering and selling their own branded products in the markets of their choosing is no longer an easy task. “Indian companies have no choice but to make strategic acquisitions into distributorships in the various countries they want to enter. They might take a majority share or 20%, 30%, or 40% stakes, but without strategic acquisitions, it’s going to be very hard for them to penetrate the international markets because the markets are already saturated with brands,” Liew told the audience at the Trade Summit in Jakarta. Indian innovation, to be sure, will come through. Liew offers a notable example. Spurred by Chinese export restrictions on triazole fungicide raw materials, at least one Indian company is now buying 64% hydrazine from China — the maximum allowed in China — and purifying it to a more efficient 80%. “Of course, there are alternatives from Europe and Japan, but the cost is higher,” Liew says. “As we speak, Indian companies are moving forward rapidly to tap this golden opportunity presented by the issues in China.